One of my favourite European cities is Amsterdam. I’ve visited many times, so I wanted to share with you just a few of the exciting and interesting things you can see and do during your time here – especially if you seek out some of the less obvious attractions. If history is of interest, then a visit to the Anne Frank Huis is an absolute must during your time in the city. Located on Prinsengracht, it’s within walking distance of the cruise terminal and it offers you the chance to step inside and experience what life was truly like for Anne and her family when they were hiding here from the Nazis. This is where she wrote her diary – and you can see her bedroom, the communal family room and even the light shining in from the attic window, which for years was the only way Anne and her family could see any of the outside world. The museum is open every day, but during the spring and summer it gets incredibly busy, so I would recommend you pre-book your tickets online to avoid huge queues. If you are docked overnight or in the city pre-or-post-cruise and you want to do something a little different, then consider the Amsterdam Ghost Walk. I had visited the city many times before I experienced my first ghost walk and it was fascinating. I’d walked past many of the buildings that are featured and I knew nothing about them. It’s creepy, fun and a great way to learn about Amsterdam and its darker history. There are various routes available, but my tour told tales of the Trippenhuis, Nieuwmarkt, Spinhuis and a few more. Holland is a wonderful country and if you have been before and want to venture out of the city, you can do so with ease thanks to excellent public transport services. 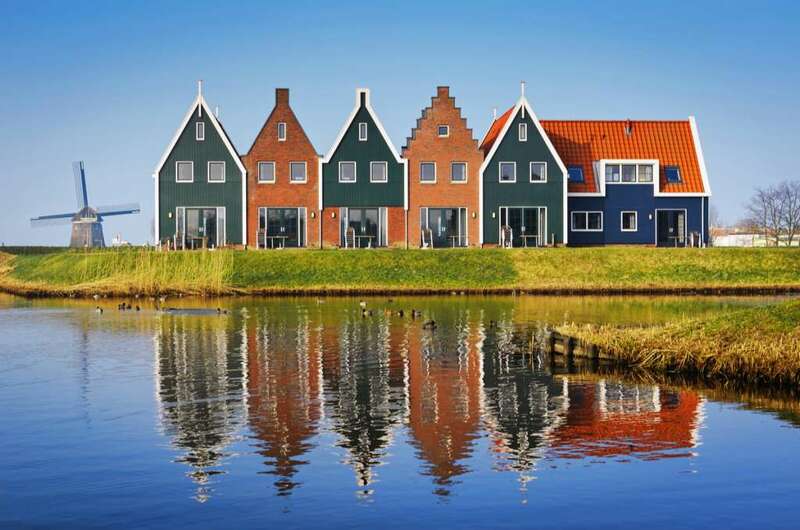 Towns within easy reach include Haarlem, Volendam, Marken, Edam and Monnickendam. One of my favourite places to visit outside of the city is Volendam, which is Holland’s best-known fishing village. It’s fun and vibrant – and from here you can even take a boat trip to Marken, so you can explore two places in one day. Usually, I would run in the opposite direction to things like this as I don’t like being deliberately scared or made to feel nervous, but on my last visit I was brave and I decided to give it a try. It’s not one for young children, but if you have teenagers or just want to do something fun yourself, then this is the place to go. Was it scary? Yes, but it wasn’t uncomfortable. I don’t know how often they change their attractions, so I don’t want to say too much, but my favourite was Hell on the Batavia, where we “boarded” the 17th century VOC ship, the Batavia for a thrill-filled journey back in time. The list above comprises less than 5% of what you can see and do in Amsterdam. I’d also recommend the Flower Market, Rijksmuseum, Van Gogh Museum, Heineken Experience, House of Bols, Vondelpark and canal cruises day and night. Almost all of them are easily reached on foot, and walking around the city is the easiest way to get around. Bike hire is also an option.